We took two identical cameras and kept all settings the same except one was set to 30fps and the other 60fps. We then filmed and analyzed 3 scenarios. How much of a practical benefit did the extra frames deliver? How much did bandwidth increase for 60 vs 30fps? Was there any reduction in blurriness for higher frame rate? More frequent frames rarely made any practical difference in our tests. In the fast driving vehicle and money counting scenarios, it made no difference. Only, in the super fast bill fanning scenario, was there a few more usable frames in the 60fps not found in the 30fps one. If motion is fast but varies, like fanning bills, the extra frames in 60fps gave more opportunity to get a frame where the object was moving slower or momentarily stopped, increasing the probability of getting a usable frame. Though both may use similar exposure settings, 60 FPS reduces perceived motion blur due to an increased number of frames on target over 30 FPS. Bandwidth Increase: Bandwidth consumption increased by ~50% in our test scenes when using 60 FPS. VMS Support: We had issues with multiple VMSes working with 60fps. Make sure to verify your camera / VMS combination works if you plan to use a frame rate higher than 30. Taking all these factors into consideration, we believe 60 FPS will have little practical benefit in the majority of scenes and applications. Even fast moving traffic, one of the highest speed applications in general surveillance, may be reliably captured by 30 FPS. However, specialized applications such as casinos or process monitoring may find the added frames on target useful in monitoring minute movements not possible before. 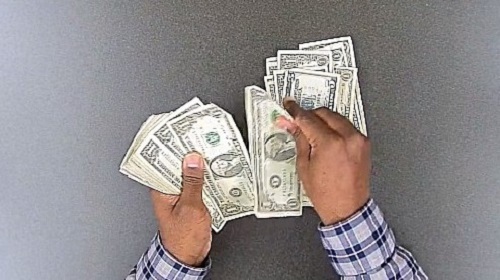 In our second money counting test, our subject fanned the bills, to see if we could spot larger denominations among the $1 bills at high speed (flipping through 50 bills took less than two seconds). We found that higher denominations were indeed easier to spot using 60 FPS, as it generally offered more than one frame on each bill. 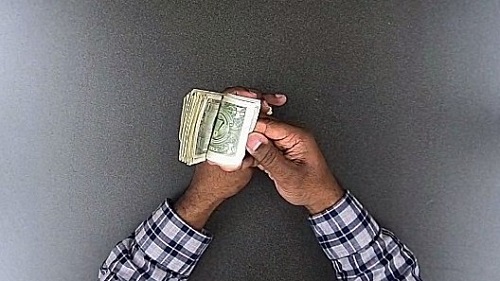 By contrast, 30 FPS captured two frames at best, with some bills moving so fast they could not be seen at all between frames (download these clips). 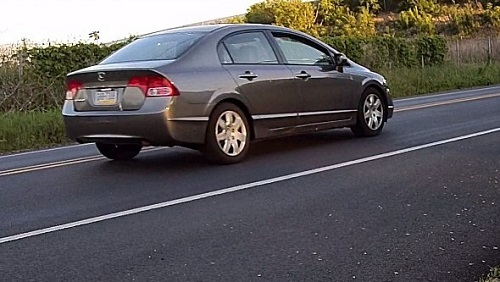 Finally, we set up our cameras near a busy road to capture fast-moving vehicle traffic (40-50 mph), to see if there were differences in our ability to capture details of the car or license plates. Like other tests, we found that doubling the frame rate gave us more quality captures, increasing the chance of seeing vehicle make, model, and license plate. However, even using 30 FPS in a FOV this size with vehicles this speed provided usable video and license plate captures. At higher speeds, or in very small fields of view, the additional frames provided by 60 FPS may be of more use, or even necessary. In order to see differences between these two capture rates, we used two Bosch NBN-733V cameras with the same lens. Both were factory defaulted, then changed to either 60 FPS or 30 FPS. The 60 FPS camera's minimum exposure was automatically set to 1/60s, as well, to accommodate the higher frame rate (see our tutorial on shutter speed vs frame rate). Note that in some of these samples, blur created by encoding or digital noise reduction artifacts may be seen. This is not due to longer exposure, as we reviewed, and neither camera was consistently better or worse in this area. Finally, I-frame interval and quantization were handled automatically by the camera, and not fixed. In the samples, I-frames were generally sent every two seconds in both cameras. Quantization averaged around 30, though neither camera was consistently higher or lower. Instead, it varied by scene and was not a consistent factor in image quality in this test.